Will Allen joins the show to design a thrilling game-based theme park! 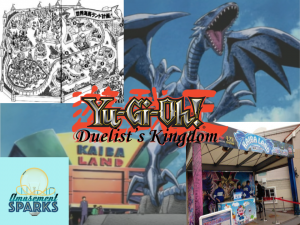 This episode delves into how surprisingly cool Yu-Gi-Oh really is, from its early days as a manga up through all the different anime series! High stakes and high drama ride on every battle throughout the parks mysterious and hidden areas. Check out the Will West Show here: YouTube, Twitter, Facebook. Shout out to the Yu-Gi-Oh Subreddit for some awesome ideas!